Aerosmith announces Las Vegas residency, "Deuces Are Wild"
Aerosmith is headed to Las Vegas. In celebration of their 50th anniversary, the "bad boys from Boston" announced they will celebrate with a Las Vegas residency. The "Deuces Are Wild" show, named for their 1994 single, will kick off April 6, 2019 at the Park Theater at MGM Grand. 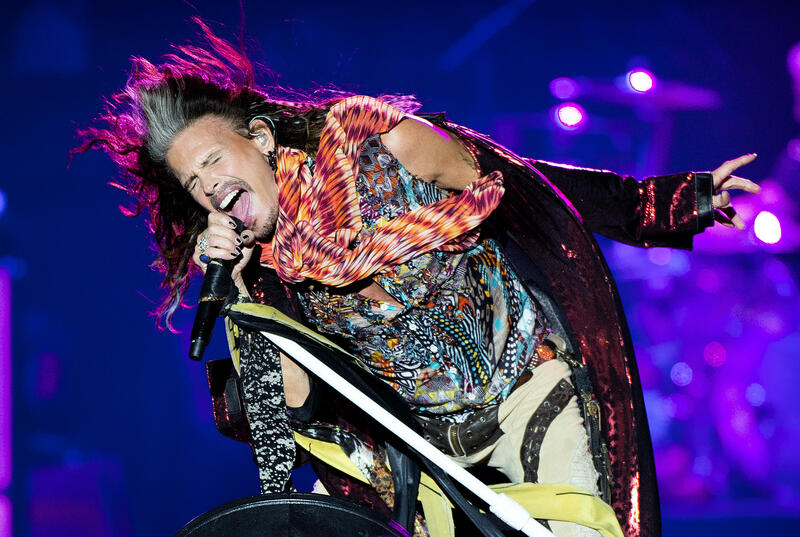 Aerosmith announced a total of 18 shows during the months of April, June and July. Tickets will be available next week and range from $75 to $750. The Park Theater will also be home to a Lada Gaga residency during that time. Her residency kicks off in December and run through November 2019. Aerosmith's announcement was made on the "Today" show before the group entertained fans at Rockefeller Plaza with some of their classic hits. However, lead guitarist Joe Perry leaked the news during a Sirius XM radio interview with Dennis Alsas a few days prior. Regarding the feel of the show, lead guitarist Joe Perry said, "I feel like we've been out of the wind for a while and it seems like it would be a really cool thing to bring some of the history back, so the production is gonna look like that. We want to bring a show we can't do when we're on the road on a regular tour. A show that still has Aerosmith and all the guts of Aerosmith." On the "Today" show, drummer Joey Cramer added, "The history behind our almost 50 years of being together. As soon as you walk into the Park Theater in Vegas, you're gonna feel it." One piece of the band's history was recently discovered. Aerosmith's original tour van, a 1964 International Harvester Metro, was found abandoned in the woods of a small Massachusetts town.